Miabi Chatterji has been participating in and supporting cross-issue movements for justice for more than a dozen years. In the past she has been Co-Director of Grants at Resist, a public foundation with a 45+ year history of funding intersectional social movements, and Senior Program Officer for Astraea's LGBTQ Racial Justice Fund. 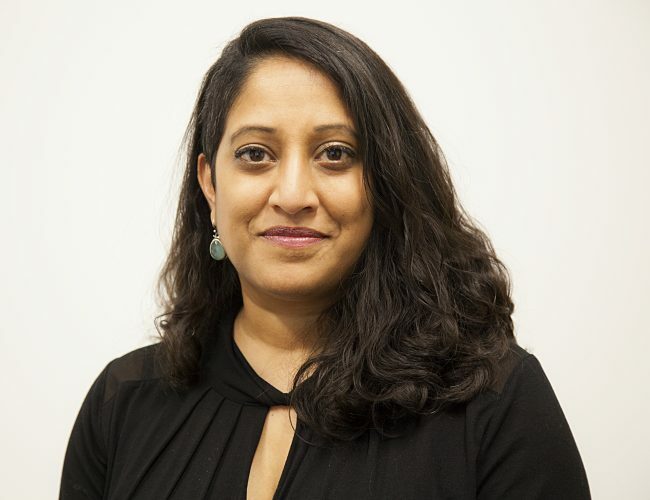 She has worked with organizations such as Manavi for South Asian Women, UAW Local 2110, Restaurant Opportunities Center NY, and received much of her formative political training through Youth Solidarity Summer, a (now on hiatus) inter-generational collective of South Asian activists in the New York area creating youth political education. Miabi has a PhD in American Studies from NYU, where she studied and taught in the fields of race, gender, sexuality, labor, and immigration. She is a dogless dog-lover, has become terribly dependent on hot sauce of all kinds, and loves working with data to make everyone's experiences with Astraea better and smoother.